Digital lead generation authority Jason Tremblay, CEO of Orlando-based Seychelle Media, will be among the featured presenters at the American Resort Development Association (ARDA) annual convention and educational conference. 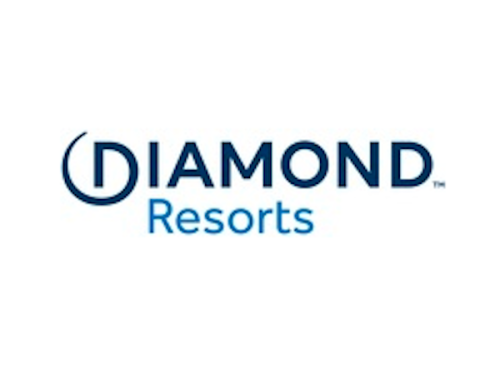 In attendance at the four-day event will be leaders and key executives representing the timeshare, vacation ownership, resort rentals and travel industries worldwide. ARDA World 2019 is scheduled for April 7 through 11 and will be hosted at the Hilton Orlando. Tremblay will be one of five subject matter experts featured on an educational panel, scheduled for 1:00 PM, Tuesday, April 9. The presenters will address the topic of “Making Data-Informed Decisions”, with Tremblay focusing on how to, “Utilize Big Data and Social Media to Acquire More Efficient Leads and Higher Volume Per Guest (VPG)”. Seychelle Media, founded in 2014, provides digital advertising, lead generation, conversion rate optimization, Facebook marketing and other results-driven strategies for delivering targeted prospects or re-engaging existing customers. The company serves an international clientele, including real estate, mortgage lending, software sales and implementation, law firms, educational facilities, retail sales and services and many other verticals. Seychelle Media is a Premier Facebook Agency Partner and has working affiliations with Oracle Data Cloud, Acxiom, Experian, Epsilon, Quantium, LiveRamp, Datalogix, Personicx, TransUnion, ComScore and IHS Markit. A Washington DC-based trade association, ARDA represents the vacation ownership, timeshare and resort development industries. With over 600 corporate members and 5,000-plus engaged associates, ARDA members hail from privately held firms to publicly traded corporations with extensive experience in shared ownership interests in leisure real estate. Signature Sponsors of ARDA World 2019 include Baker Hostetler, Capital One Commercial Banking, Capital Vacations, Diamond Resorts, Disney Vacation Club, First American Title Insurance, GetAways Resort Management, Hilton Grand Vacations, Holiday Inn Club Vacations, I.C.E. Marriott Vacations WorldWide, Publix Super Markets, ResortCOM, RCI, Vacatia, Western Alliance Bank, Wyndham Destinations, and other distinguished organizations. About Seychelle Media: (http://seychellemedia.com/) Seychelle Media is an ROI-centric Digital Advertising Agency built on creative energy, insatiable curiosity and disruptive strategy. The Agency’s services include a collective of disciplines, united by the objective of building brand awareness and converting customers online, including Facebook Advertising, Lead Generation, and Pay for Performance Marketing. The Seychelle Media Team specializes in the generation of highly qualified and motivated prospects using proprietary niche-targeting and segmentation methodologies, utilizing its status as a Premier Facebook Agency Partner.